olks, I am absolutely over the moon, thrilled to the core, can’t stop smiling because I’m so excited to share my BIG announcement with you. 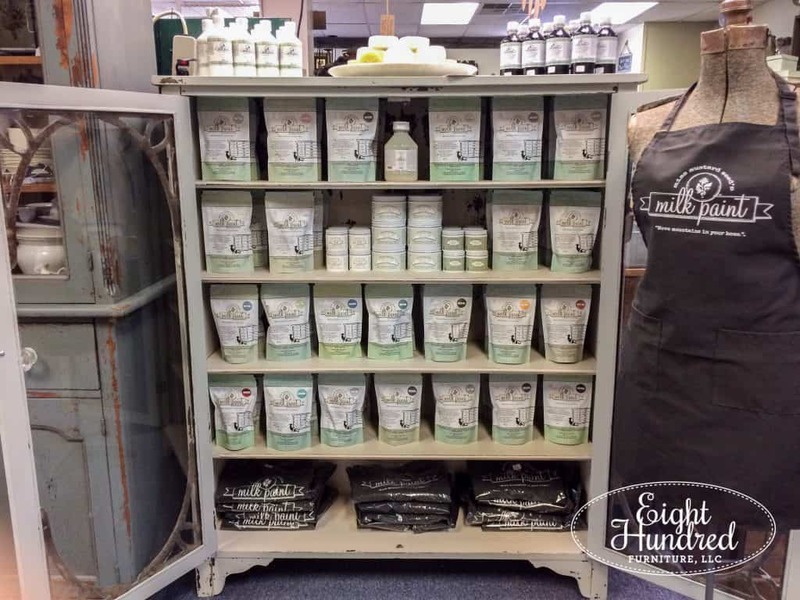 MISS MUSTARD SEED’S MILK PAINT RETAILER!! Jump for joy with me, won’t you? Oh readers, if only I could put my feelings into your heart, you’d totally understand why I’m bursting at the seams! If you been reading my blog for any length of time, you have probably picked up on the fact that I use MMSMP and their corresponding products all the time. 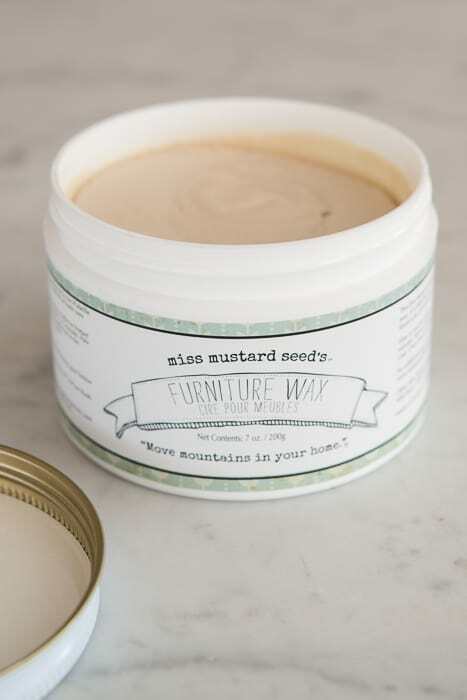 My love affair with the Mustard Seed brand came years ago when I first started getting into furniture painting. I forget how I stumbled upon Marian’s blog, but once I found it, I was hooked. My morning routine was wake up, do Bible study, go to work, check email, read Marian’s post. 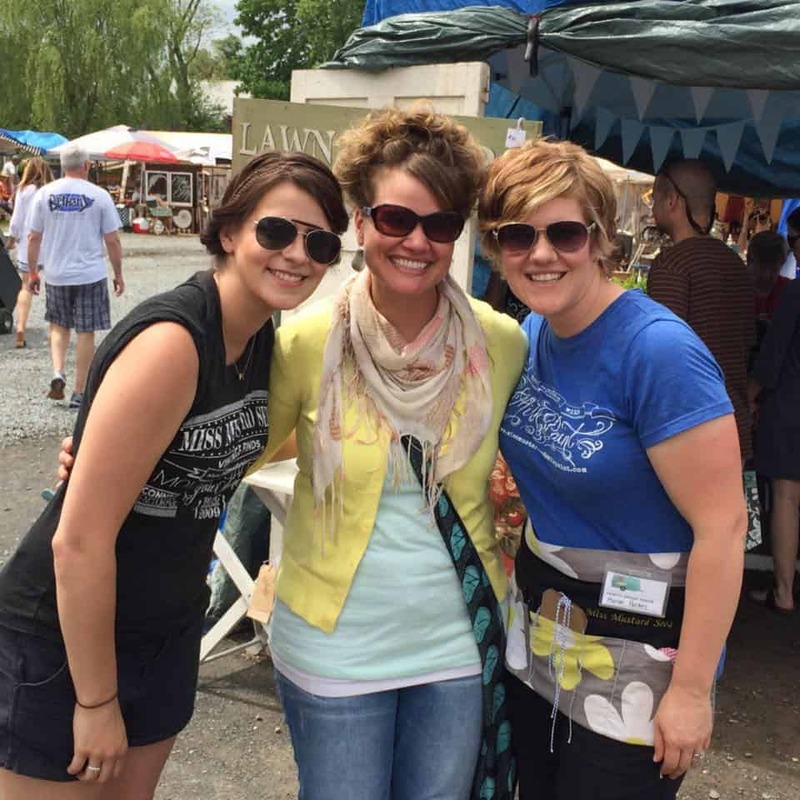 Back in 2015, I was going down to Louden County Virginia for a Precept Ministries Leader Training and lo and behold, it was the same county where Lucketts Spring Market is held every year. Even more coincidental was the fact that the trip was happening the same weekend as the market. That meant I would have the chance to meet Marian and Kriste in person! Of course I was a total dork and asked for a photo with them. I even got to watch an episode of Design Ramblings being filmed! The trip was so amazing that I went back to Lucketts in 2016. You can read that recap here. 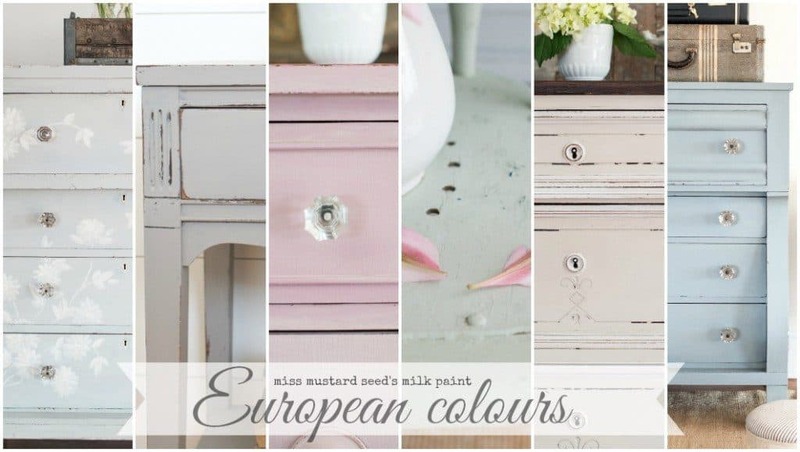 Opportunities to partner with the Mustard Seed brand came my way in the form of Milk Paint blog posts, trips to Mustard Seed Studio, becoming a brand ambassador, and managing the Instagram feed for MMSMP. I had always wanted to carry the products in whatever space I wound up in, but the timing of everything hadn’t lined up until recently. If you caught my last blog post, you know that my booth has practically doubled in size at Morgantown Market. This was the perfect opportunity to bring on MMSMP! There were a few bumps along the way, but through much prayer and pursuing community over competition, things worked themselves out. 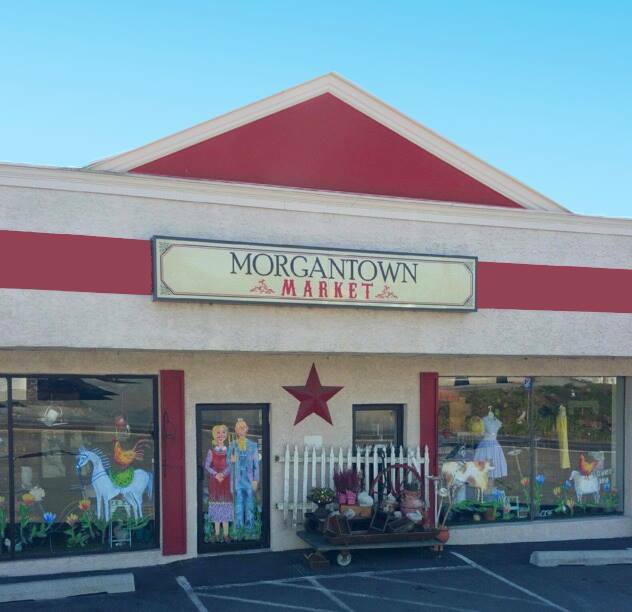 So without further ado, may I proudly present Miss Mustard Seed’s Milk Paint atMorgantown Market! I am carrying all of the 24 gorgeous colors in the line, including those in the European collection! 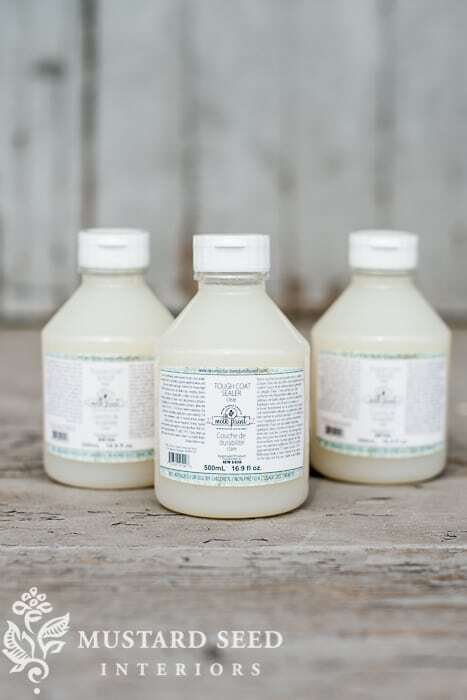 Miss Mustard Seed’s Milk Paint has 5 all natural ingredients. 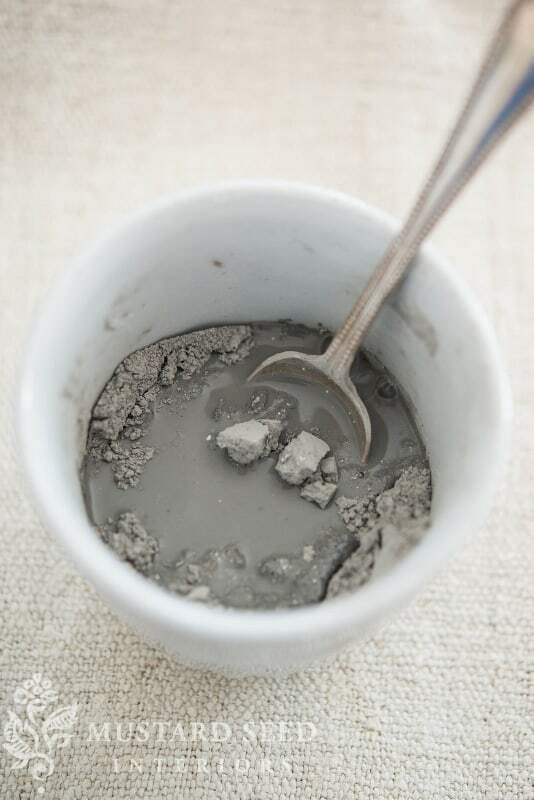 From the bottom up in this photo, they are casein (which is milk protein), chalk, clay, oxide (natural pigments) and limestone. That is ALL that is in MMS Milk Paint. 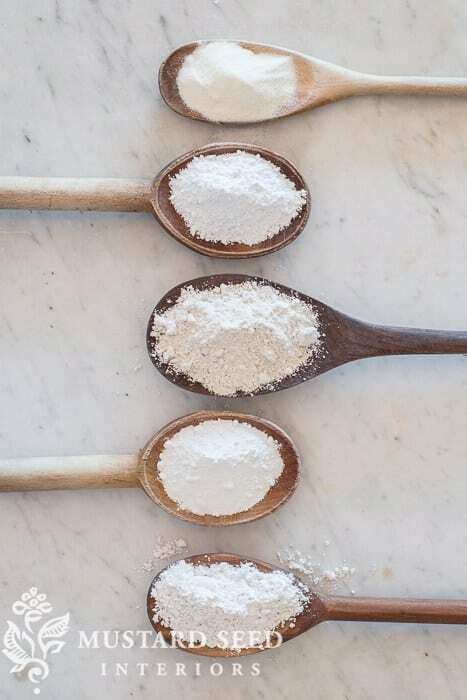 Five all natural ingredients. 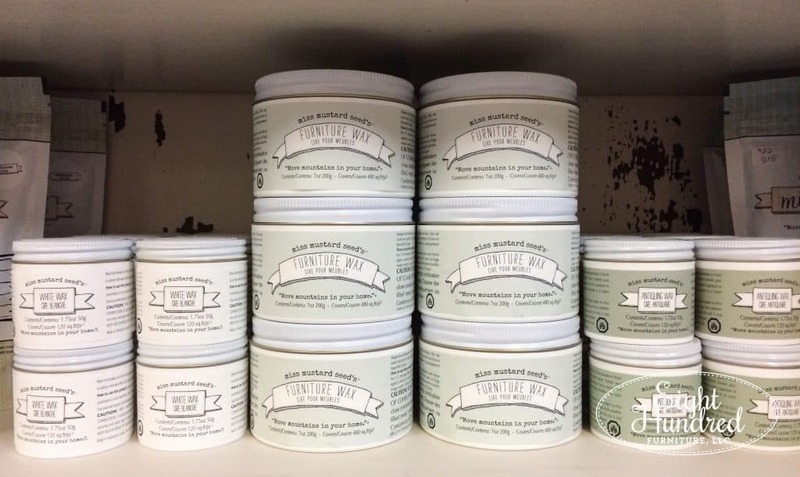 If you’re someone who values using natural products in your home, Miss Mustard Seed’s Milk Paint is a perfect fit! 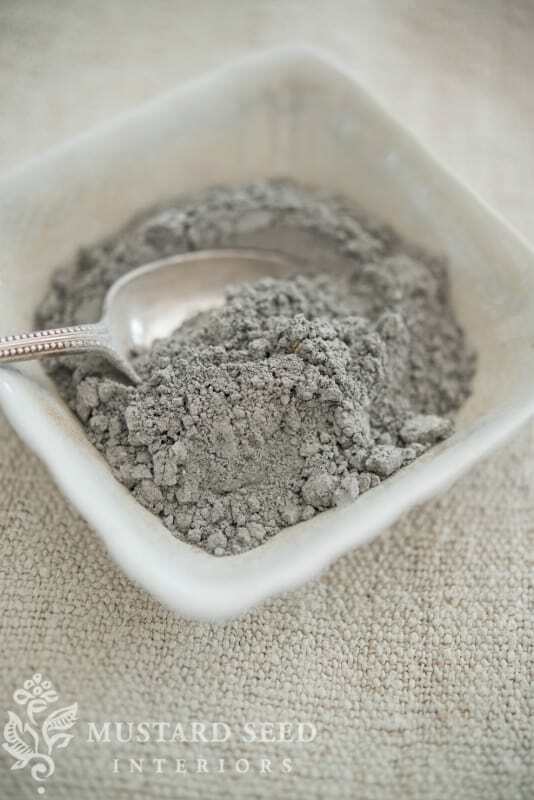 MMSMP comes in powder form, making it less expensive to ship, store, and ultimately for you, the consumer, to purchase! 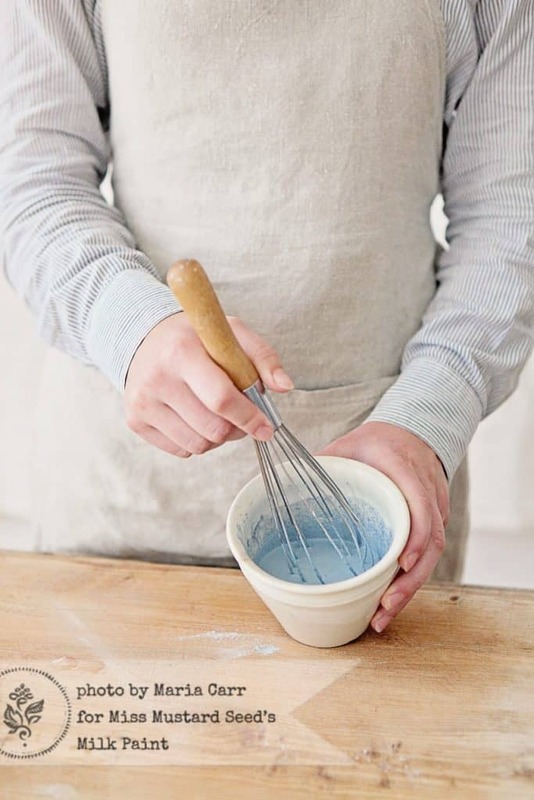 To turn the powder into paint, simply add water. 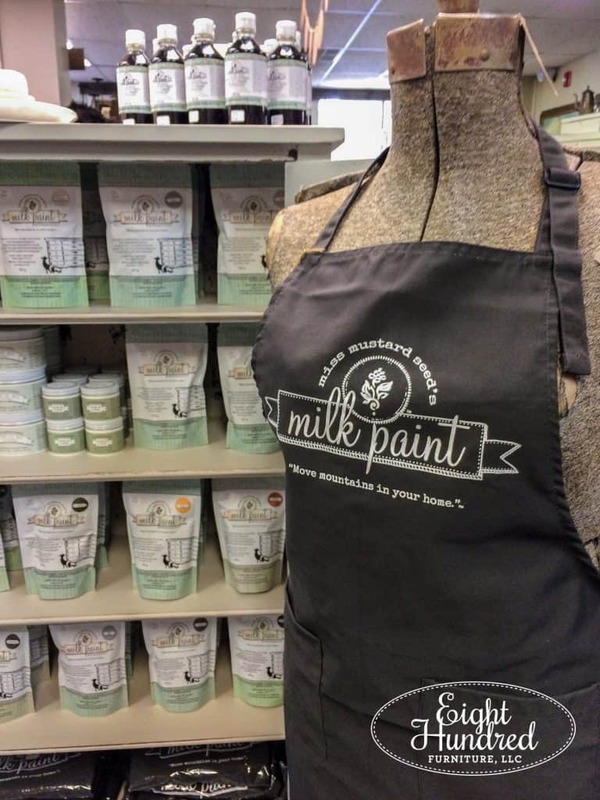 You can mix MMS Milk Paint with a whisk, spoon, popsicle stick, or even a plastic fork! The mixing part is usually what throws people for a loop. 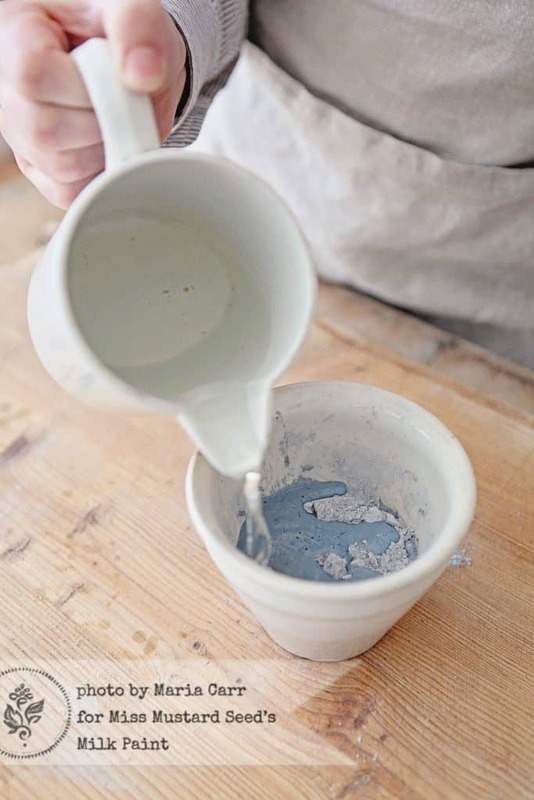 Trust me, if you can stir a packet of hot coco mix into water, you can mix Milk Paint! 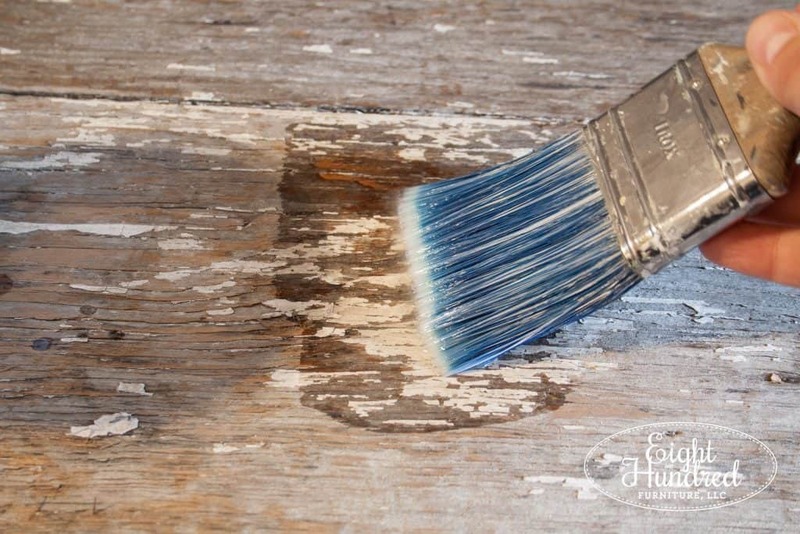 Once applied, Milk Paint can be left raw on a piece. I only recommend doing this on a piece that won’t have a lot of traffic and use. For example, I don’t recommend painting a coffee table and leaving it raw. To protect your paint, there are a few different finishes I am carrying. 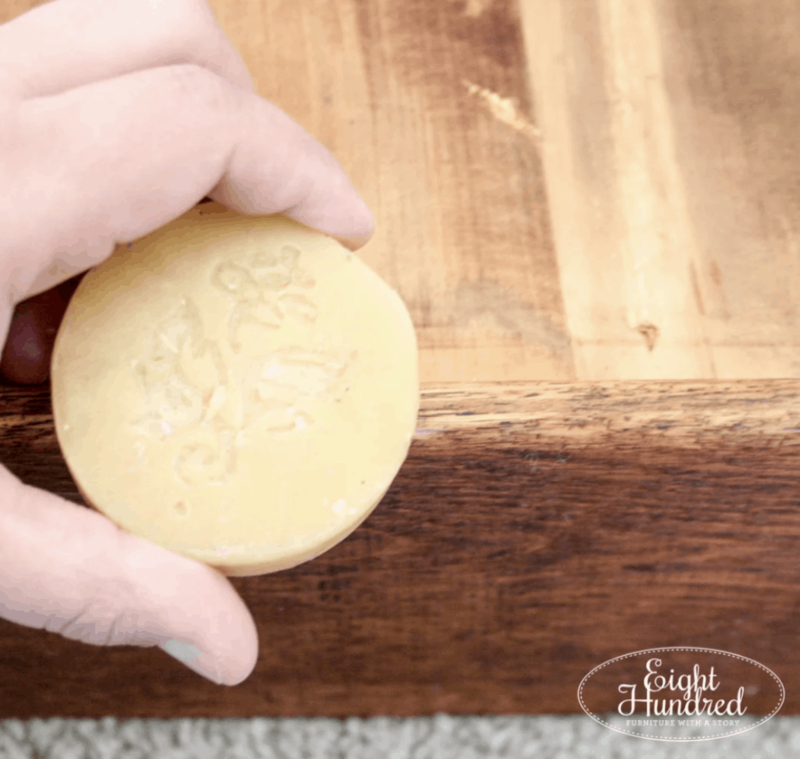 The Furniture Wax is uber creamy and super easy to apply. If you have wax phobia, then this is the wax for you! It’s not stiff and hard like some other waxes on the market. It goes on like butter. 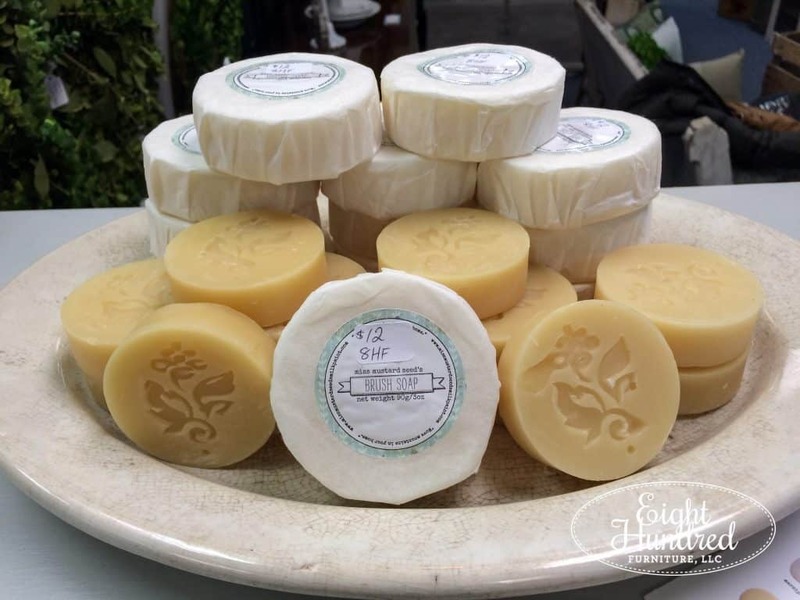 That’s probably because of its ingredients – carnuba wax, beeswax, and odorless mineral spirits. It creates a “livable” finish, meaning that scratches and blemishes can be buffed or sanded out and wax can be reapplied as needed for repairs and maintenance. This finish is great for busy households and there is NO strong odor! Have you ever opened a tin of wax and it smells like chemicals? That’s not the case with this wax! This smells like a natural lotion. White and Antiquing waxes are tinted with pigments to provide you with the option of adding age or a limed look to your pieces. 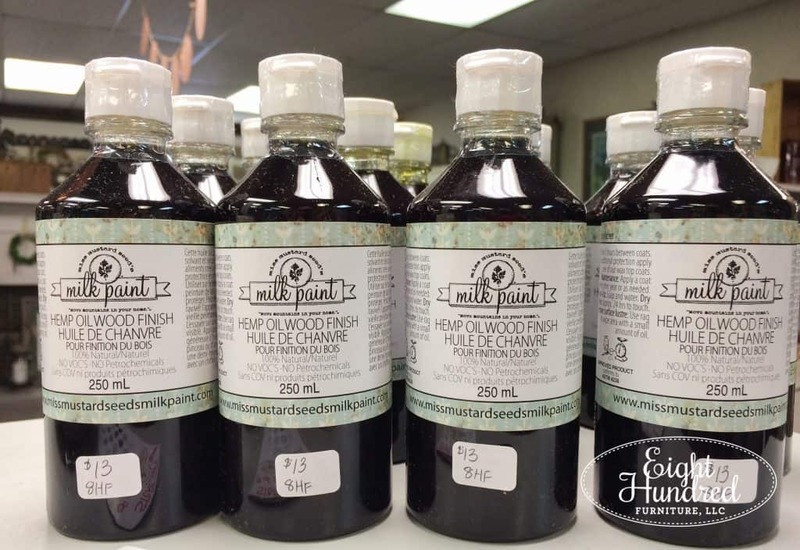 In addition to the waxes, you can use 100% natural Hemp Oil to seal your Milk Paint pieces. 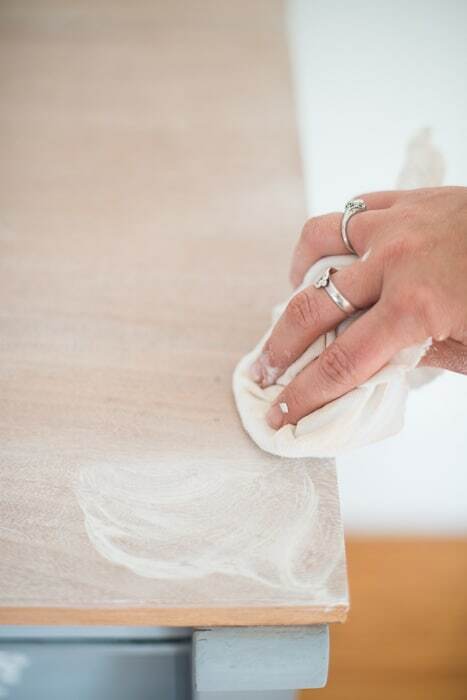 For extra protection, you can apply Hemp Oil and then follow up with Furniture Wax for a durable finish. Make sure you go in that order though! Remember in the alphabet, H comes before W, so Hemp Oil first THEN wax. Besides Hemp Oil, the second most versatile finish (in my opinion) is Tough Coat. Tough Coat is the water-based top coat in the MMSMP line. It’s perfect for sealing in chipping paint on old windows and crusty doors. 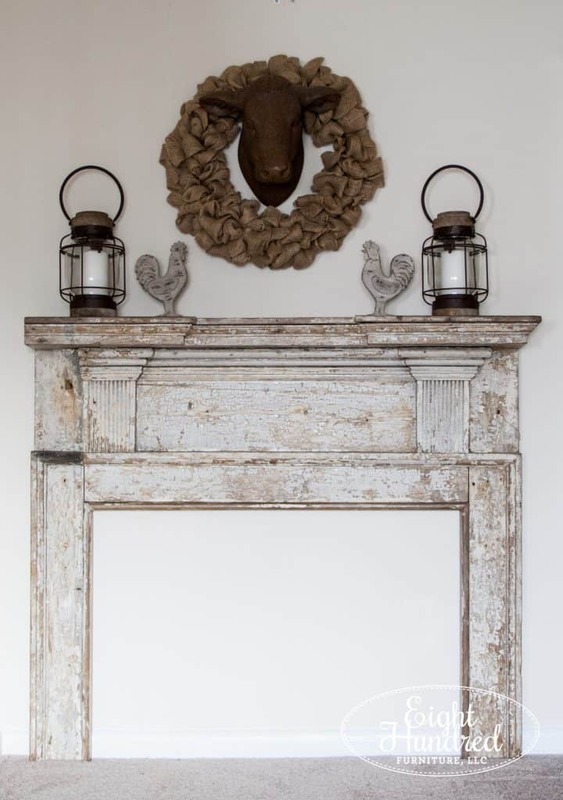 Check out how it worked on my 1700’s mantle here. See all that crusty paint? Tough Coat was the perfect product to seal all of it up! Tough Coat can be applied with a paintbrush, foam brush, or even wiped on! 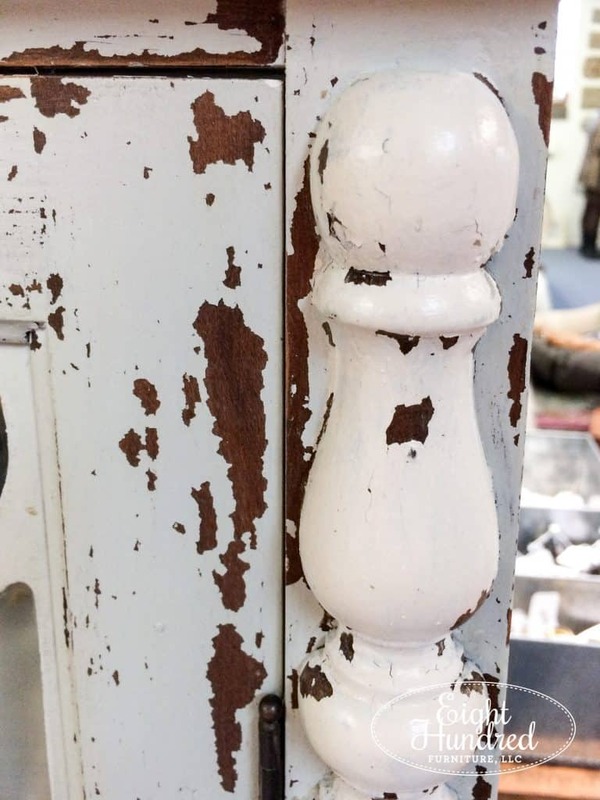 If you paint a piece with Milk Paint and it turns out chippy, use Tough Coat to lock everything in place! 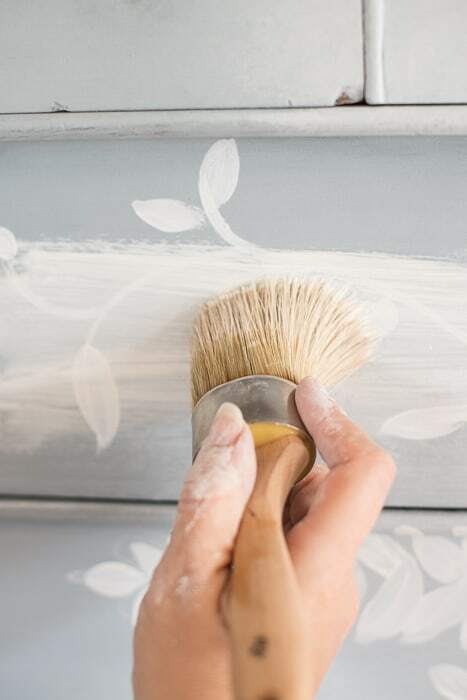 Best of all, it’s self-leveling to reduce brush strokes, is low odor so it’s safe to use indoors, low VOC, and is non-yellowing so if you paint it over white, it won’t discolor over time. It’s perfect for high traffic spots like table tops too! 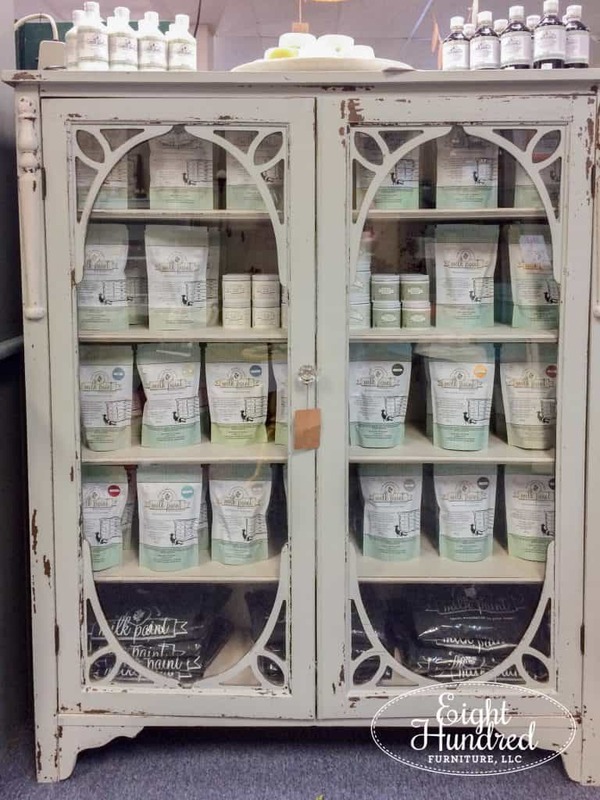 My Milk Paint display cabinet is sealed in Tough Coat because the finish turned out chippy. I wanted to make sure the surface won’t continue chip as time goes by. Plus, this piece will be getting a lot of use and product will constantly be moved on and off of the shelves, so I wanted a finish that would hold up to a lot of traffic. This piece was painted in Mora on the outside, and Marzipan on the inside – both colors from the European line! 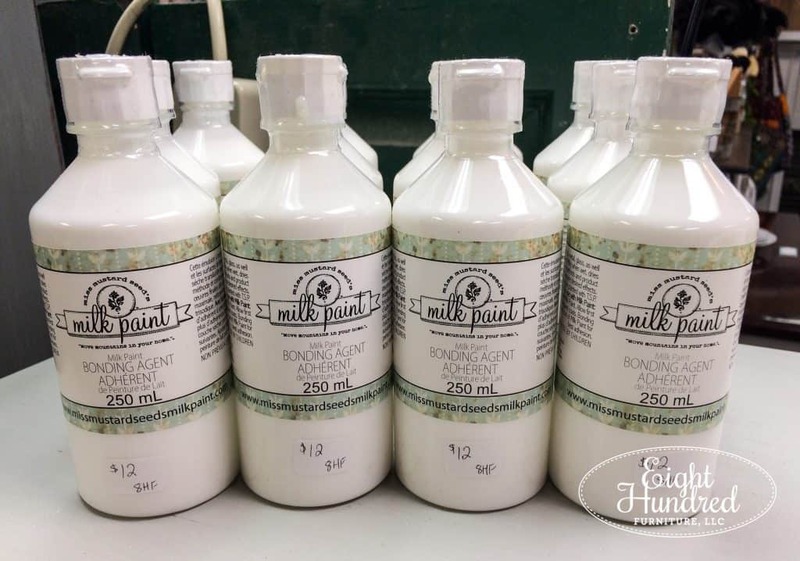 I also have a product called Bonding Agent, which is an additive that you can use to help your Milk Paint stick to glossy and shiny surfaces. Bonding Agent is an ideal product to add to your Milk Paint if you do NOT want a chippy finish. In addition to painting supplies, I also have 100% all natural beeswax pucks which are great to rub on the bottoms of sticky, hard-to-close drawers. 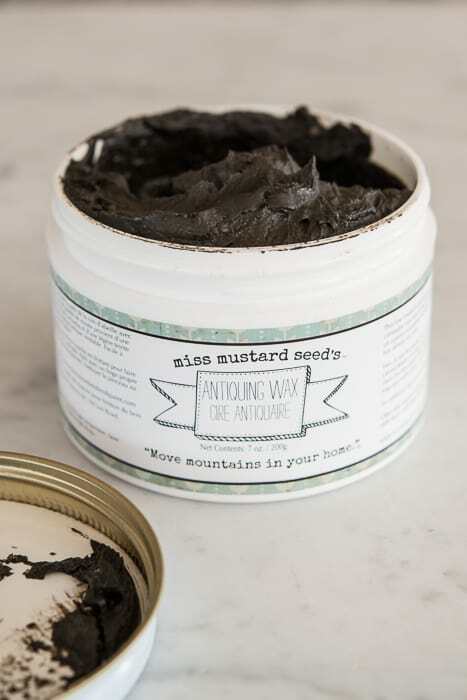 To keep your paintbrushes hydrated and clean, I am also carrying Miss Mustard Seed’s 100% all natural Brush Soap. This soap is perfect for keeping natural and synthetic bristled brushes in excellent condition. 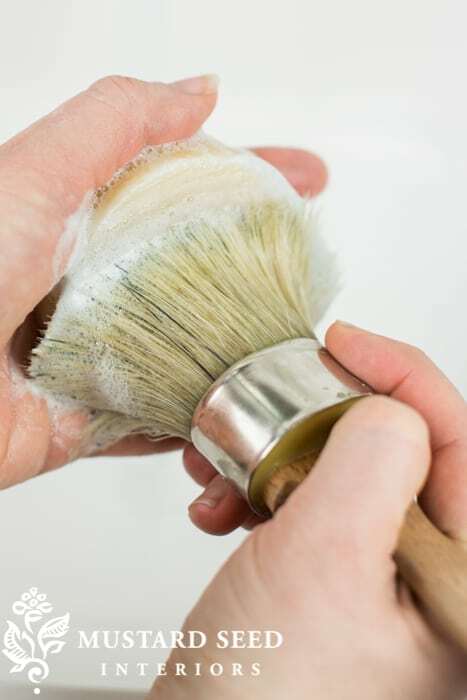 Taking care of your brushes is key to a smooth paint job and increasing their longevity. MMS Brush Soap is made with sustainable ingredients of the highest quality including coconut, olive, castor, jojoba, and palm oils. It’s even good to use on makeup brushes too! 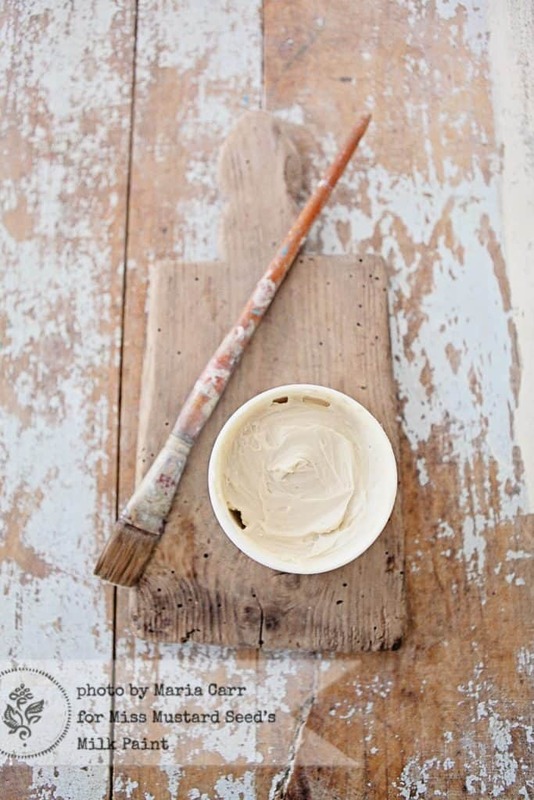 Again, if using natural products is important to you, this paint line is right up your alley! 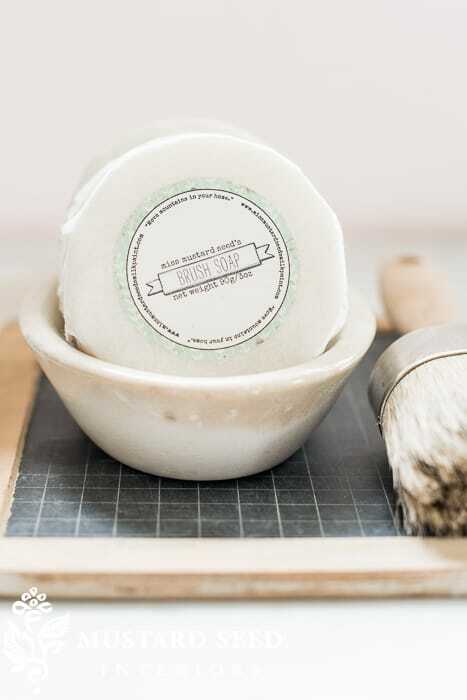 I have the Brush Soap and Wax Pucks all bundled together on an ironstone platter. 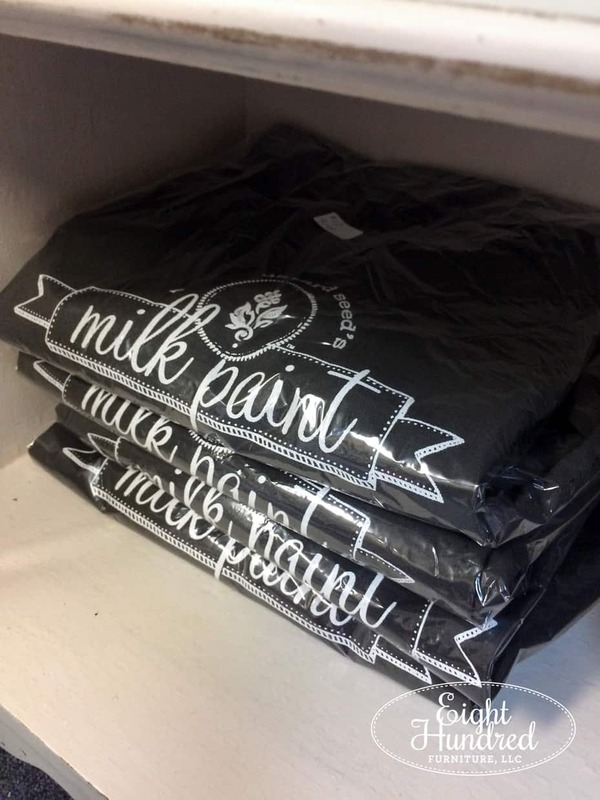 Finally, to keep your clothes protected and to let all of your friends know you *heart* Milk Paint as much as I do, I’m carrying MMSMP aprons. They come with 2 deep pockets to keep brushes, cloths, and extra screws handy while you’re working! 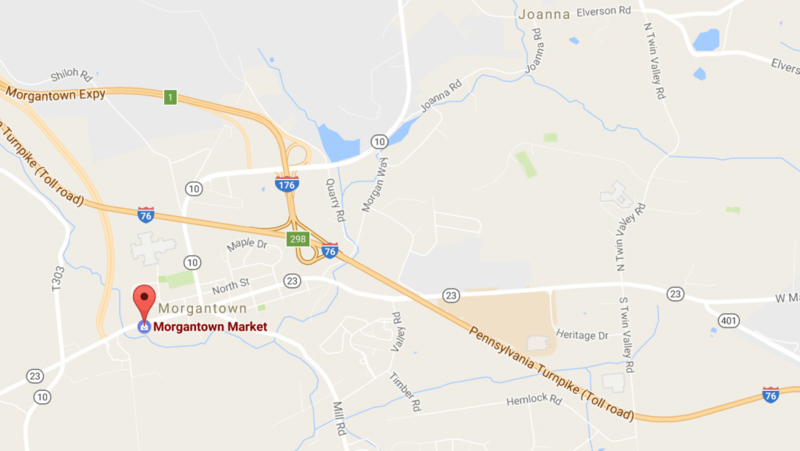 Morgantown Market is conveniently located right off the PA Turnpike. It’s close to Routes 10, 23, 401, 322, and Interstate 176. 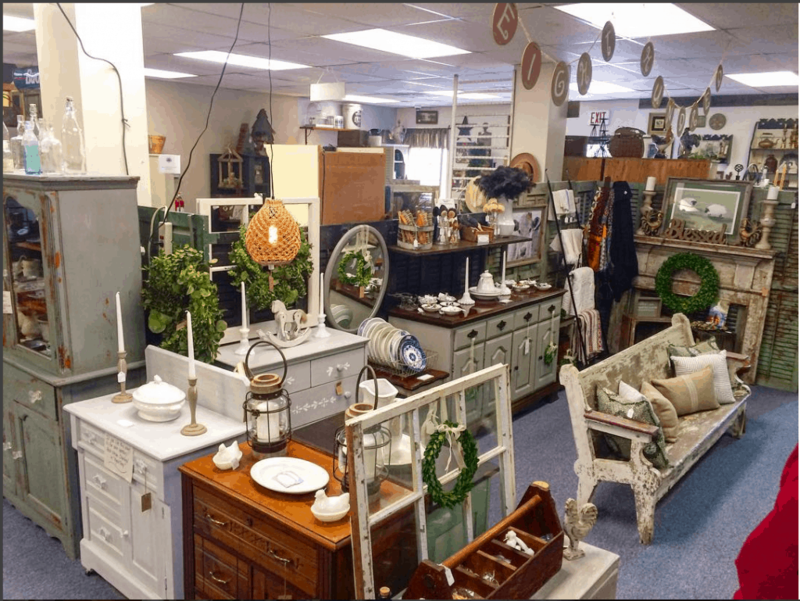 If you’re in the Reading, New Holland, Elverson, Narvon, Morgantown, Downingtown, Exton, Coatesville, Pottstown, or Honey Brook area, we’re a short car ride away! 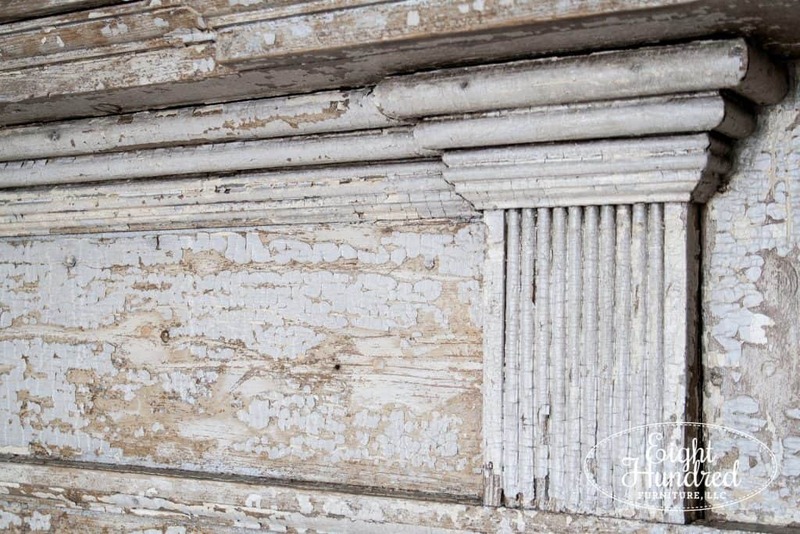 In addition to carrying MMSMP products, I’ll also be hosting Milk Paint workshops to teach you techniques and tricks to achieve authentic chippy finishes, farmhouse style, and traditional classic looks on your pieces. Keep your eyes open on social media for dates and details. It is my absolute pleasure to continue helping you Move Mountains In Your Home.